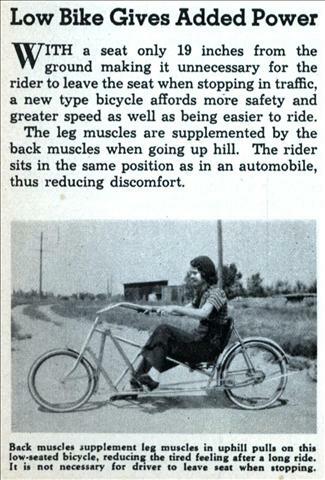 WITH a seat only 19 inches from the ground making it unnecessary for the rider to leave the seat when stopping in traffic, a new type bicycle affords more safety and greater speed as well as being easier to ride. The leg muscles are supplemented by the back muscles when going up hill. 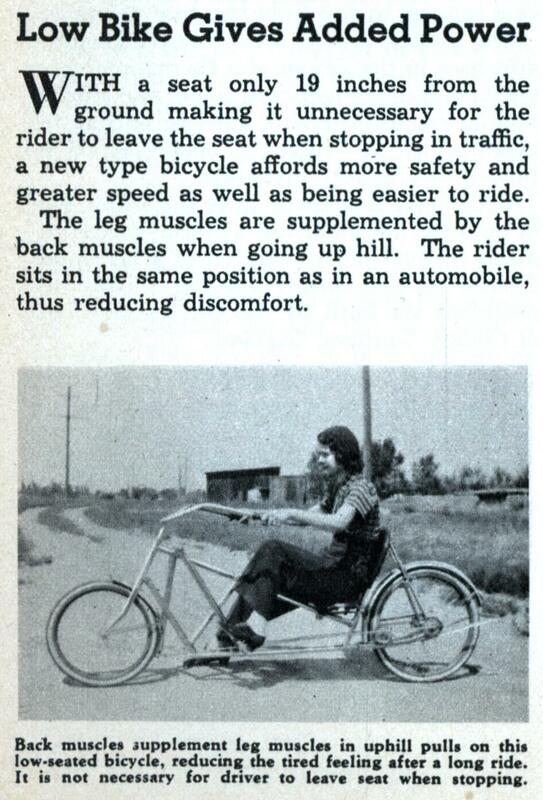 The rider sits in the same position as in an automobile, thus reducing discomfort. Man, put a Boom-box on the back and you have an LA recumbent! 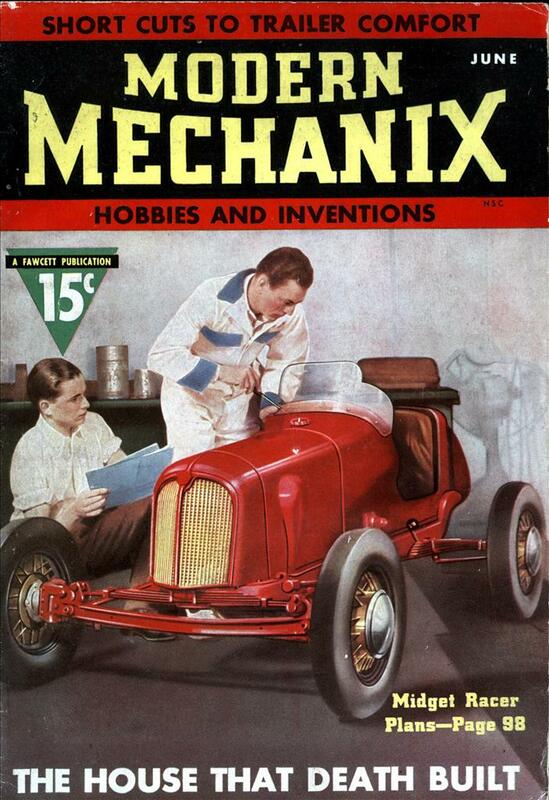 It’s hard to tell from the photo, but is that a treadle-to-chain system? There doesn’t appear to be a conventional bottom-bracket on the bike. If the rider had red hair, he’d look like a clown.